In short, PPGG was hemorrhaging money, so PPFA cut them loose. 3. Notice that killing patients or performing an abortion on a patient who was just there for a pelvic exam* won't get you disaffiliated, but losing money will. *The May 24, 1993 issue of Legal Times notes that Alcida A., age 28, alleged that she went to Planned Parenthood February 25, 1992, for birth control pills. Alcida, who speaks only Spanish, was led to procedure room by Spanish-speaking employee who had her disrobe, put her in stirrups, inserted a speculum, and left the room. Planned Parenthood physician Marc Jerome entered room and initiated a vacuum abortion procedure. Alcida screamed for him to stop, Jerome "ignored the obvious pain and terror" of the woman, and continued with procedure. It turns out that Jerome had gone into wrong room and failed to correctly identify which patient he was about to operate on. Alcida's lawyer noted that she "suffers continuous flashbacks and crying episodes," particularly due to her strong religious opposition to abortion. Planned Parenthood successfully blocked Alcida's attempt to file suit anonymously, on the grounds that the suit "does not involve an abortion, or a woman's right to privacy when choosing to obtain an abortion. The female plaintiff in this case was not pregnant...did not seek and did not obtain an abortion." I'd note that she obtained one, against her will. What if this woman had been pregnant and there for a prenatal exam? All a-Twitter: "Red states" Google abortion more. Why? Jill Stanek posts her Weekend Question: Why is “abortion” googled more in pro-life states? Abortion supporters postulate that it's because abortion facilities are harder to locate in these states. How would that explain it? Doesn't EVERYBODY who is scheduling an abortion looking up the phone number? If you were googling abortion just to make an appointment, you'd google it once and be done with it, and you'd be googling whether or not there was a handy abortionist in town. When I was looking for a clothes drying rack, I googled clothes drying racks for days, comparing reviews, then drove down to Lowe's and bought one. I didn't have to do all that googling because clothes drying racks were difficult to avail myself of, but because I was planning a purchase and doing my research. And any reasonably bright internet-using woman contemplating abortion is going to do the same thing -- google "abortion" and shop around -- unless she's a frequent flier and they know her by sight down at the mill. 1. Prolifers tend to do more research. (You can see this in any number of studies showing that more knowledge of abortion tends to correlate with a prolife stand, and great confidence in one's misinformation about abortion tends to correlate with a prochoice stand). 2. When abortion laws and regulations are proposed, it puts abortion into the news and sparks curiosity, so people google it to find out which side is telling the truth. The more laws we propose, the more regulations, the more we keep abortion in the news, the more people will become curiuos and start googling. And the more prolife they'll become. Read it and weep, abortion lovers! On August 27, 1909, Anna Dennin, age 23, died in Chicago from an abortion. Dr. E. Mayeke held by the coroner's jury and indicted for felony murder. The source document doesn't indicate that the case went to trial. Anna's abortion was typical of pre-legalization abortions in that it was evidently performed by a physician. 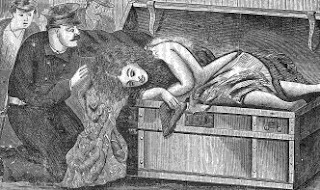 A striking contrast to modern attitude toward abortion deaths is the story of Alice Bowlsby -- the Trunk Murder Victim, whose pitiful corpse was found 139 years ago today. Anybody who has ever benefitted from heart surgery -- their own or a loved one's -- owes a debt of gratitude to an obscure Black Southern carpenter with the unlikely name Vivien, on the payroll of Johns Hopkins as a janitor. This is a staggering story. Treasured collectibles? Nope. Mummified fetuses. As Yiming Xing peeled back the tattered Los Angeles Times papers from a small bundle, hoping to discover well-preserved antiques beneath the 1930s newsprint, she instead found the remains of two human fetuses. Some folks are acting as if preserved fetuses is just some relic of the "bad old days", but I remember plenty of stories of safe-in-legal abortionists stockpiling fetuses, not just keeping two almost as if they were keepsakes. The most recent one was Kermit Gosnell in Philly. Does anybody have the details on the storage room full of containers of fetuses they found in Los Angeles a while back? 1908: Abortionist acquitted: Bertha Isserstadt, age 23, died in Chicago from compliations of an abortion performed August 5. A woman named Margaret Wiedman was held by the coroner, but eventually acquitted for reasons not given in the source document. Wiedman's profession was given as "abortion provider". 1937: Fatal self-induced abortion: Mrs. Ruth Haught, a 30-year-old widow, died at University Hospital in Hobart, Oklahoma, on August 19, 1937, of blood poisoning from an apparent self-induced abortion. 1988: Safe, legal abortion kills asthmatic teen: Tami Suematsu, age 19, underwent a safe and legal abortion performed by Vern Wagner at Riverside Family Planning Center August 19, 1988. Tami went into bronchial spasm and asthma-related respiratory failure then cardiac arrest. She was transported to a hospital, but died shortly after arrival. 1978: Abortion at clinic owned by erstwhile criminal abortionist proves fatal: Marina DeChapell, age 34, went to a Miami abortion facility for a safe and legal six to eight week abortion on August 17, 1978. Immediately after the procedure, the abortionist noticed that Marina was not breathing. Although the medical examiner did not attribute Marina's death directly to the abortion, police noted that the clinic, owned by erstwhile criminal abortionist Luis Barquet, was not equipped with any emergency equipment other than an air bag. 1971: Safe and lethal: Vicki was 23 years old when she underwent an abortion in New York state. She was 20 weeks pregnant. Saline was injected into her uterus to begin the abortion. The next day, she began to show signs of infection. She expelled her dead fetus but her condition did not improve. On August 17, she died of sepsis. 1989: Prestigious women's hospital lets teen die in botched abortion: Marla Anne Cardamone wanted to make an adoption plan, since she already had a toddler at home, was helping her mother care for her quadriplegic father, and was coping with depression. Instead of helping Marla, a hospital social worker browbeat her into the unwanted abortion that took her life. 1974: Chicago woman dead within hours of abortion: Dorothy K. Brown was one of three women to die at Friendship Medical Center in Chicago -- a facility originally founded as a good work for the Black community by Dr. Theodore Roosevelt Mason Howard. Yvonne Tanner put her trust in a safe, legal abortion hospital, and lost her life. Kris Humphry lost her life trusting her friends and their advice on "natural" ways to get rid of an unwanted unborn baby. Ying Chen, 30 years of age, died a year ago today from complications suffered during an abortionist performed by troubled doctor Andrew Rutland. The LA County Coroner, on reviewing the case, changed the manner of death from "Accidental" to "Homicide". The Medical Board has added this charge to their list of charges against him. The case will be reviewed in February of 2011. On July 28, 2009, Ying, who did not speak English, went to Rutland's acupuncture and abortion facility in San Gabriel, California, for a safe, legal abortion. She arrived at about 11 a.m. A Chinese translator was present at the facility, though medical board documents do not indicate if Rutland provided the translator or if Ying brought the translator. Ying was 16 or 17 weeks pregnant by examination -- well into the second trimester. Rutland didn't document when Ying's last period was, nor did he document her height and weight. He didn't include an ultrasound report in her chart. Her chart did, however, include two signed consent forms -- for a first-trimester abortion. Rutland, on the other hand, is complaining in open letters to everybody from state senators to Oprah that he is being persecuted because he's an abortionist. Let's see if Orpah takes the bait. On August 1, 1929, 23-year-old schoolteacher Violet Morse, , of Anaconda, Montana, died from a botched abortion. 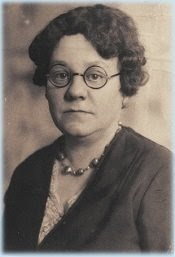 Her death certificate was signed by Gertrude Pitkanen (pictured), who was listed as the attending doctor even though Pitkanen was actually a surgical nurse and a chiropractor. Pitkanen attributed Violet's death to myocarditis, a heart condition. Violet's father requested a coroner's inquest, which revealed that Violet had actually died of complications of an induced abortion. Pitkanen insisted that she had only been called to Violet's bedside after her death. With no way to verify that Pitkanen had performed the abortion, she was simple censured for failing to notify proper officials about the death, as well as for falsifying the death certificate. Pitkanen was also charged with the abortion deaths of Hilja Johnson and Margie Fraser. A woman who was a student nurse at St. James Hospital in Butte remembered Pitkanen's victims. "They died horrible deaths from infection," she told a reporter from the Montana Standard. Violet's abortion was unusual in that it was likely performed by a nurse, rather than by a doctor, as was the case with perhaps 90% of criminal abortions.